13 Oct What is Shopify? 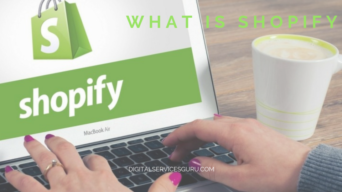 You are planning to build an online store but you are confuse that what is Shopify? Why it’s Better than WordPress or Squarespace, Magento, Prestashop etc. Let’s have a look below I have tried to explain in a better way. If you’re planning to sell your products online but don’t have a much (or any) experience in eCommerce web development or coding or time don’t worry. Shopify gives you a comprehensive eCommerce web builder tool with thousand of templates and Shopify Experts and Freelancers. If you want help Theme Customization you can hire Freelance Shopify Experts also. It is very simple to sign up with Shopify. Shopify offers a 14-day free trial, so you can test out the platform to see if it’s right for you and your customers. Once you have installed the templates you can customize and design with your images, logos, text, and videos to complement your logo and products. After content and brand putting in site you can start selling right away with the platform’s built-in shopify shopping carts. It is a very popular eCommerce platform for small, medium and large business who want to sell their products online. Few people do Shopify theme and products installation by own but few hire shopify experts, freelancers and shopify web designers. Shopify is a good option because you don’t need to invest a lot of money at the beginning because no one know whose business is going to be success and fail. You don’t need to buy hosting. You can integrate payment gateway by your own like PayPal etc. You can set shipping system. You can set coupon code. Also most import with one click you can integrate best plugins with your site. You can upload logo, banners, products images etc. You will get free SSL Certificate with shopify. What you don’t get with Shopify? With Shopify you are not given mailing services so you can use Google Mail G Suite Services which is the best. Shopify coding is in Ruby on Rails but it support CSS and html too. So anyone can do customization and changes in html and CSS. Shopify helps you to start online selling store, grow and manage whole business online. It allows you to Create and Customize Shopify Online Store. You can sell at multiple places, in multiple currencies. With the help of Facebook, Instagram you can expand your store widely. There are several plugins available to sell products like UpSell, Cross Sell etc. Shopify is completely cloud-based and hosted platform. It means you don’t have to worry about upgrading or maintaining software or web servers and investing money on it. With CDN features no worry of speed of server or hacking etc. Most important part is you SSL Certificate free of cost. Otherwise if you go with WordPress or other self hosted platform so you need to buy SSL from third party like www.godaddy.com which cost minimum $100 USD per annum. This gives you the flexibility to access and run your business from anywhere with an internet connection. What is Better Shopify or Squiresapce ? Shopify is a pure eCommerce builder. Thus if you’re trying to create a web site to sell product (physical or digital products), Shopify will assist you build that. Unlike Squarespace / WordPress are focus on serving to users build non-eCommerce connected websites, Shopify is all eCommerce. So, if you’re not trying to create an online store, Squarespace may be a higher match for you. Shopify is one among the most effective eCommerce store builders offered these days. They power over 5k businesses and features a massive scheme to assist you become additional made along with your business (more concerning this below). They have over one hundred skilled trying, mobile friendly style themes that you simply will use to form your store look smart (which is very important so your guests feel that you’re a additional credible seller). It doesn’t matter what percentage product you would like to sell, Shopify has the tools to assist you build what you wish. I will be sharing more information so please stay tuned….